A stylish and elegant 9ct white gold crossover ring, embellished with delicate round diamonds totalling 1/3ct. A beautiful ring with a unique twist, perfect as a gift for a loved one on your anniversary, or merely as a declaration of your commitment. 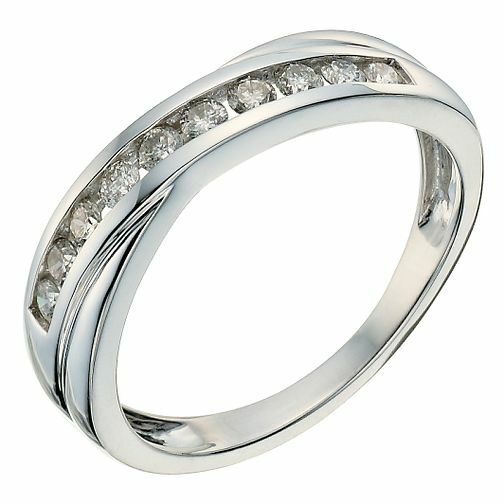 9ct white gold 1/3ct diamond crossover eternity ring is rated 5.0 out of 5 by 1. Rated 5 out of 5 by Anonymous from Brilliant Lovely gift for the mother, well happy with it. Good customer service and efficient.